Size: Think small. Really small. If you're used to a 7' tall tree commanding a quarter of your living room, think again. First of all, subtract at least 18" from the height of the tree for the root ball - in other words, you would be decorating a 5' tall tree. Then consider that you'd need half a football team to carry the tree into the house. A tree that size may weight 100 pds or more. Also, think about the pot that you are planting in. 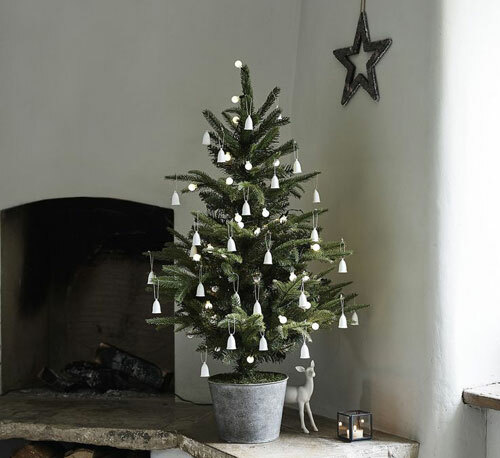 We suggest moving the planter into the home first and then setting the live tree inside once you have positioned it where you want it. 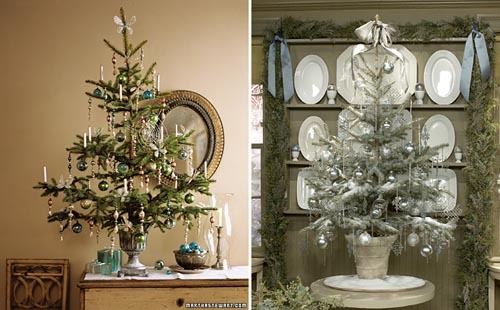 Be prepared to move the potted tree outside once the holidays are over. 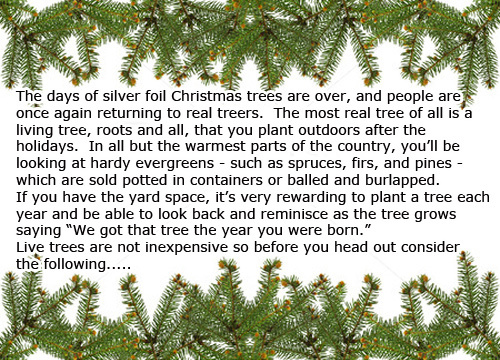 Time spent indoors: Evergreen trees don't go completely dormant in winter, but they come close to it. 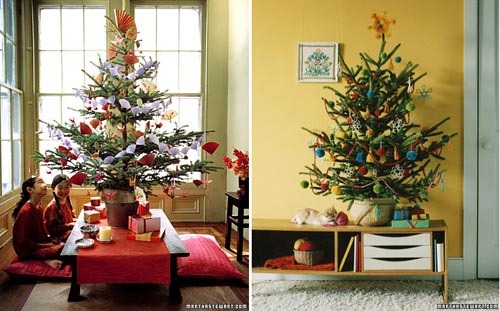 If you bring the tree indoors for a month, it will start to break dormancy. Then, when you plant it outside in January it may suffer freeze damage. Plan to keep it indoors for a week and no more than 10 days, preferably in the coolest room out of direct sunlight. Future size: Most spruces, firs, and pines get big - really big - as in 50 to 100 feet tall. Can your yard accommodate such a large tree? You can keep they trees in the original container for a few years, but they will soon outgrow even the largest planter. If you have your heart set on a big tree but want to plant a living one, too, here's one way to have your tree and plant it too. 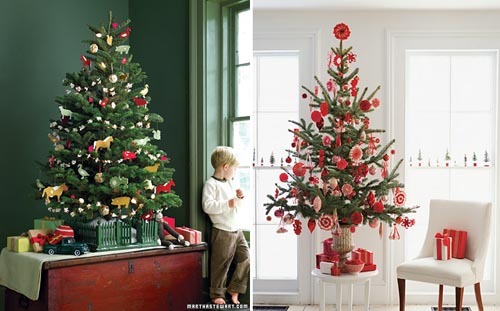 Buy a small live tree, decorate it, and display it outdoors, on your front porch or wherever you like. Have a second cut tree in the house for the holidays. Another option is a dwarf evergreen. They are a good choice where space is limited. Just read the plant tags carefully because the term dwarf is relative. Lastly, you can always decorate a houseplant. It's the thought that counts!